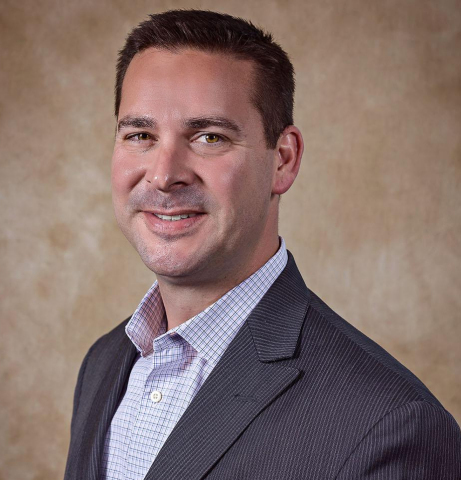 FAIRMONT, W.Va.--(BUSINESS WIRE)-- MVB Financial Corp. (Nasdaq: MVBF) today announced the appointment of Brad Greathouse of Morgantown as Senior Vice President, Human Resources. A human resources professional with more than 20 years of progressive leadership experience, Greathouse will lead all aspects of human resources for MVB Financial, the holding company for MVB Bank, Inc., and the Bank’s subsidiaries, MVB Mortgage and MVB Community Development Corporation. As Senior Vice President of Human Resources, Greathouse will lead his team in the creation and implementation of human resources strategies and programs to support the continued development of MVB’s growth-oriented culture, including Team member engagement and development, talent acquisition, performance management, compensation and benefits programs and organizational development activities. For nearly eight years, Greathouse was part of Mylan’s North America leadership team. He served as Vice President, Human Relations, for Mylan’s U.S. P&L, from 2010 to 2012, through a period of tremendous of growth. Starting in 2012, he has been the Vice President of Human Relations for Mylan’s operations in North America and Brazil, which consisted of 11 sites, as well as the Scientific Affairs and Research and Development organizations—a total of 6,000 employees in the U.S., Puerto Rico, Canada and Brazil. During his tenure at Mylan, Greathouse was responsible for overseeing employee engagement and labor relations, succession planning and talent development, as well as leading and supporting a number of business transformation and restructuring projects across the region. Prior to Mylan, Greathouse spent more than 12 years with GE Aviation in a number of senior human resources leadership roles for global organizations, including the Turbine Airfoils Manufacturing and Engineering Division, Finance and Legal Divisions and the Customer and Product Support Operations. In his most recent post with GE as the Executive Human Resources Leader, Assembly, Test and Overhaul Center of Excellence, Greathouse provided overall human resources direction and strategy for a production, services and engineering organization with 20 locations and 7,000 employees across Asia, Europe, South America and the U.S. He earned his Six Sigma Green Belt Certification during his tenure at GE and also attended several executive leadership development courses at GE’s Crotonville Development Center. Greathouse has been involved in community service activities throughout his career. He was a long-serving Board Member for GE Aviation’s Community Service Fund and managed Mylan’s regional charitable contributions program. In 2013, Greathouse was a community campaign chairman for the United Way of Monongalia and Preston Counties and served on its Board of Directors for nearly six years. MVB Bank, Inc., is a strong community bank with more than $1.5 billion in total assets headquartered in Fairmont, W.Va. The MVB Bank footprint now encompasses 14 total locations- 12 in West Virginia and two in Northern Virginia. For more information about MVB Bank, please visit www.mvbbanking.com. MVB Financial Corp. has made forward-looking statements, within the meaning of Section 27A of the Securities Act of 1933, as amended, and Section 21E of the Securities Exchange Act of 1934, as amended, in this Press Release. These forward-looking statements are based on current expectations about the future and subject to risks and uncertainties. Forward-looking statements include information concerning possible or assumed future results of operations of the Company and its subsidiaries. When words such as "believes," "expects," "anticipates," "may," or similar expressions occur in this Press Release, the Company is making forward-looking statements. Note that many factors could affect the future financial results of the Company and its subsidiaries, both individually and collectively, and could cause those results to differ materially from those expressed in the forward-looking statements contained in this Press Release. Those factors include, but are not limited to: credit risk, changes in market interest rates, inability to achieve merger-related synergies, competition, economic downturn or recession, and government regulation and supervision. Additional factors that may cause our actual results to differ materially from those described in our forward-looking statements can be found in the Company’s Annual Report on Form 10-K for the year ended December 31, 2016, as well as its other filings with the SEC, which are available on the SEC website at www.sec.gov. Except as required by law, the Company undertakes no obligation to update or revise any forward-looking statements.